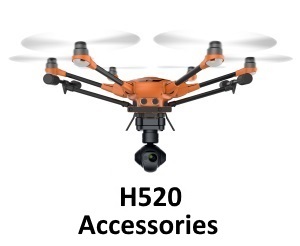 How do I use the DJI Mimo App? 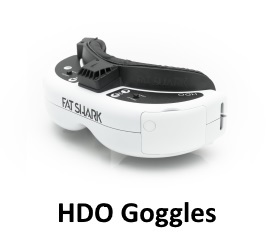 How do I use the Controller Wheel? How do I switch between recentre and Selfie mode? Swipe up on the screen, then click recentre or Selfie mode. Alternatively, double-click the power button to recentre, and triple click the record button to switch to Selfie mode. 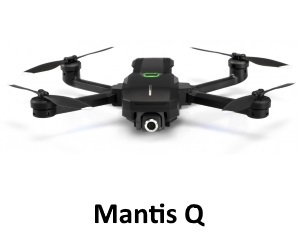 Connect to DJI Mimo, then click recentre or Selfie mode. 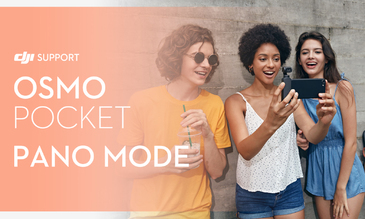 In Follow mode, hold the Osmo Pocket handle, tilt the camera until it faces straight ahead, swipe up on the screen, and click recentre to enter Flashlight mode. Hold the Osmo Pocket upright, and click recentre again to exit Flashlight mode. How to activate the ActiveTrack function? 1. 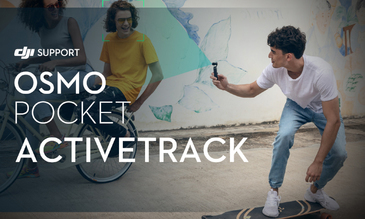 If the Osmo Pocket is used as a standalone device: Double-tap the object or area on the screen to turn on ActiveTrack. After the device is switched to selfie mode, Face Track will be automatically turned on. 2. 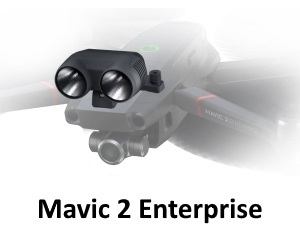 If the Osmo Pocket is used with the DJI Mimo App: Select the area on the mobile device's screen to enable ActiveTrack. 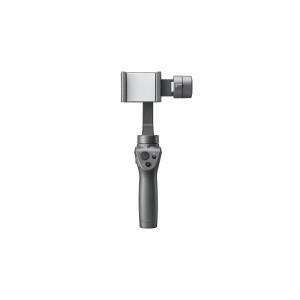 Can I disassemble the Osmo Pocket gimbal by myself? 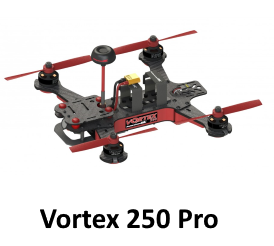 Is there a lock to fix the position of the gimbal? 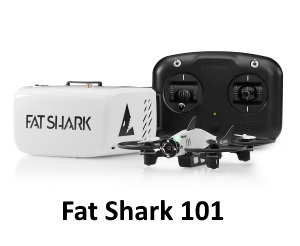 How to calibrate the gimbal? 1. If the Osmo Pocket is used as a standalone device: Swipe down on the main screen to enter the System Settings and tap the Calibration button to calibrate the gimbal. 2. If the Osmo Pocket is used with the DJI Mimo App: Connect the App, tap the three dots on the bottom left of the shooting interface, then tap the ""Calibration"" button in the gimbal and handle settings to start the gimbal calibration. 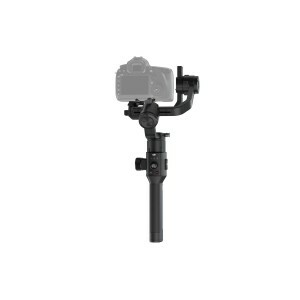 How to control the Osmo Pocket gimbal's rotation direction? 1. If the Osmo Pocket is used as a standalone device: Swipe down on the main screen to enter the System Settings and tap Tilt Control. 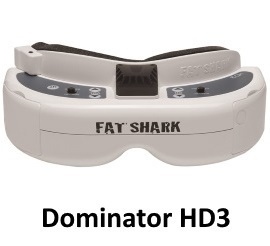 Then go to the home screen and move up and down to control the tilt axis. 2. 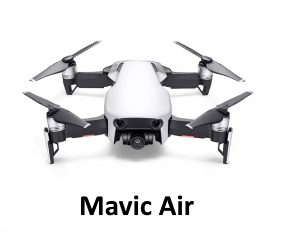 If the Osmo Pocket is used with the DJI Mimo App: Connect the App and move the icon shown on the right of the screen to make the gimbal move up, down, to the left or right. 3. 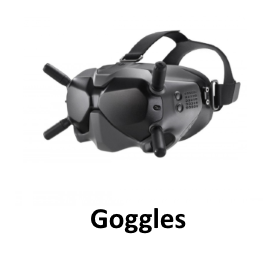 When the joystick is used: After the joystick is connected, toggle the dial to move the gimbal up, down, to the left or right. How to set the video resolution? 1. 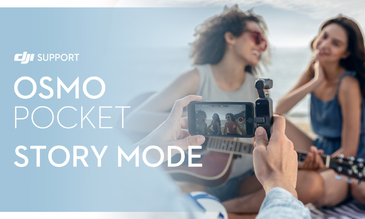 If the Osmo Pocket is used as a standalone device: Swipe left on the main screen to go the shooting mode menu, swipe left again in Video mode and then set the resolution. 2. 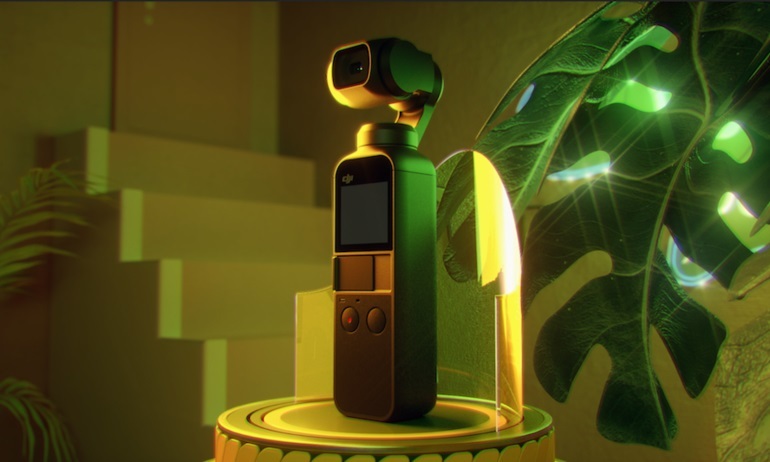 If the Osmo Pocket is used with the DJI Mimo: Choose ""Video"" mode on the right of the DJI Mimo App's shooting mode menu, then tap the resolution icon to set the resolution. How to switch between the centre mode and selfie mode? 1. 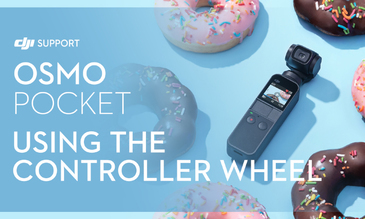 If the Osmo Pocket is used as a standalone device: Swipe up on the main screen to enter the Gimbal Settings and tap Recentre or Flip. 2. 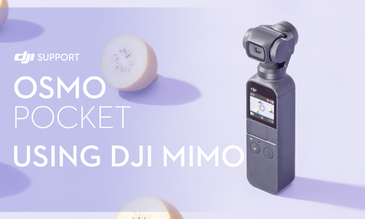 If the Osmo Pocket is used with the DJI Mimo App: Connect the App and tap Recentre or Flip button on the right side of the screen. How to use Flashlight mode? 1. 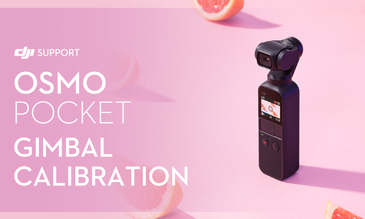 When the gimbal's pan/tilt is locked, hold the Osmo Pocket's handle straight, and tilt the lens forward until the lens is facing straight ahead, then the device will automatically enter flashlight mode. Hold the Osmo Pocket vertically to exit the flashlight mode. 2. When the gimbal is in Follow mode, hold the Osmo Pocket's handle straight, and tilt the lens forward until the lens is facing straight ahead, swipe up on the main screen to enter the gimbal settings. Tap Recentre to enter the flashlight mode. Hold the Osmo Pocket vertically and tap Recentre to exit the flashlight mode. How to switch between the Portrait mode and Underslung mode? 1. 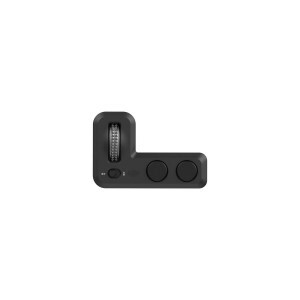 Hold the grip, and rotate it to the left or right until the screen switches to being vertical and the Osmo Pocket automatically changes to Portrait mode. 2. 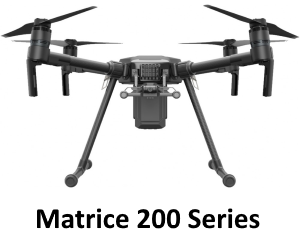 Hold the grip and rotate it 180 degrees to the left or right to go into Underslung mode. How do I start the Osmo Pocket for the first time? 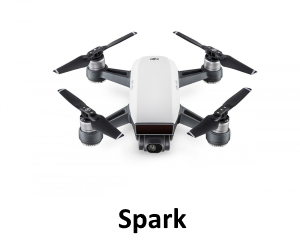 Step 1: Download the DJI Mimo App from the App Store or Google Play. Step 2: Press and hold the power button for 1 second. 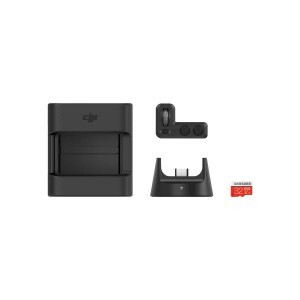 Connect the Osmo Pocket and the mobile device with the smartphone adaptor. 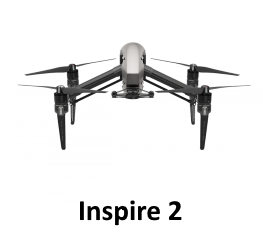 Step 3: The DJI Mimo App will be automatically pop up and prompt that the device needs to be activated. Step 4: Please activate the device following the App's instructions. What are the operating methods of the Osmo Pocket? 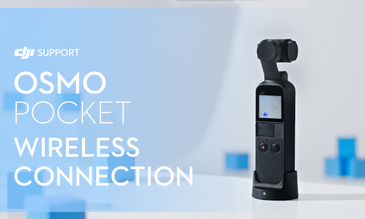 The Osmo Pocket can be used separately or connected to the DJI Mimo App. 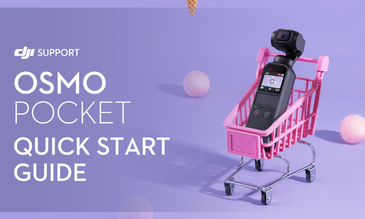 What App does the Osmo Pocket use? 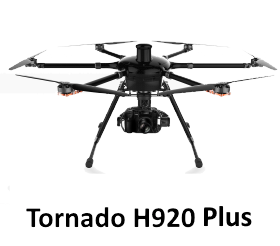 It uses the brand new DJI Mimo App. 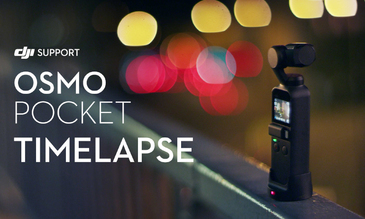 What timelapse modes does the Osmo Pocket support? What are the video's resolutions and frame rates? Can the ISO, shutter, and EV values be adjusted by the Osmo Pocket? Yes, these parameters can be adjusted automatically or manually by turning on Pro mode. 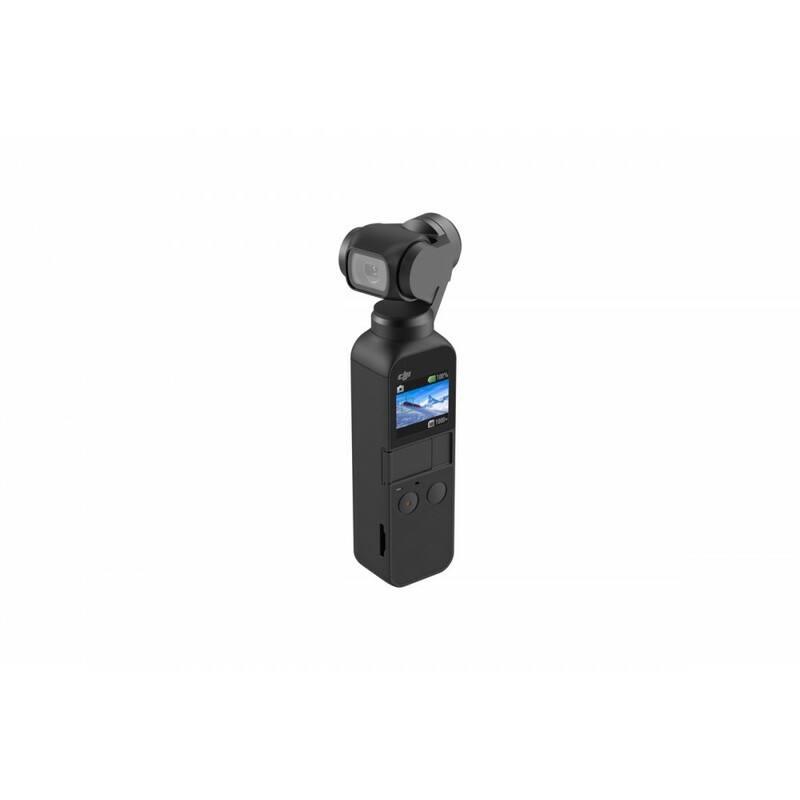 Does the Osmo Pocket have volume amplification? 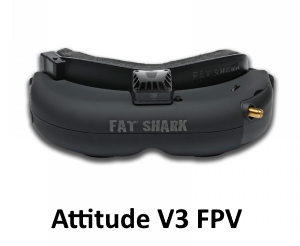 Go to "Pro Mode"-"Volume Amplification Level" and select "Auto", "Fine", "Medium", and "Low". What are the photo formats? What are the video formats? 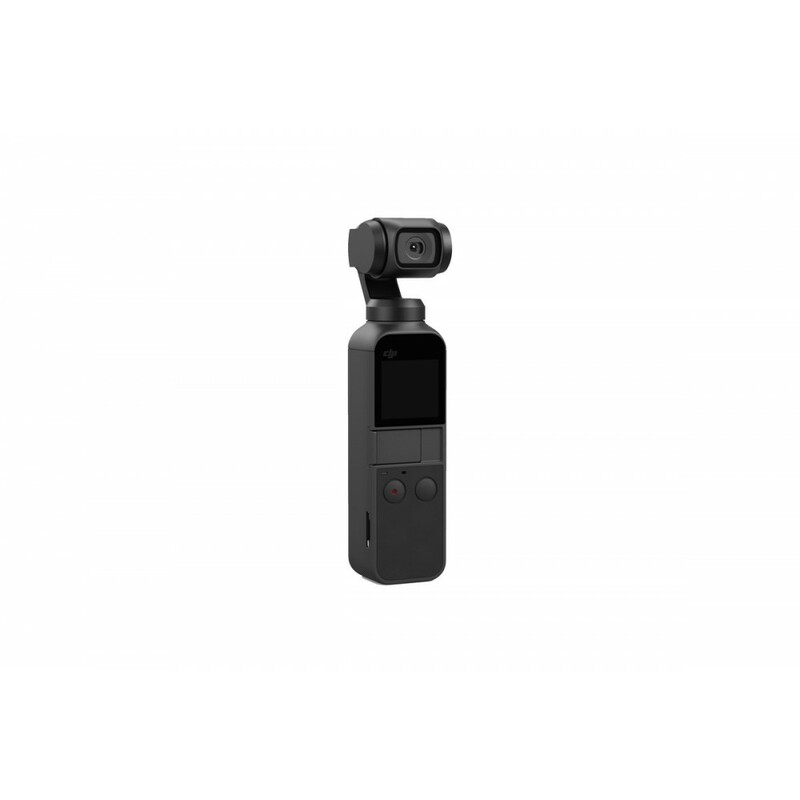 Can I broadcast live videos with the Osmo Pocket? How does the Status LED flash when the Osmo Pocket firmware is being upgraded? During the update, the Status LED blinks red and green alternatively. The Status LED glows solid green if the firmware update is successful. If the Status LED is solid red, the update failed. How can the Osmo Pocket be updated? 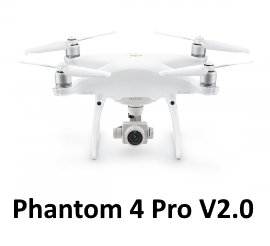 The firmware can only be updated with the DJI Mimo App. How do I update the Osmo Pocket? Which phone models are the smartphone adapter suitable for? The adaptor is not compatible with Android phones with Micro-USB interface for the time being. 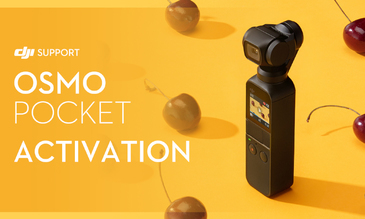 What buttons does the Osmo Pocket have? Shutter/Record button and Power/Function button. 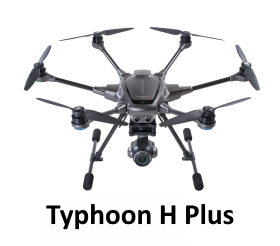 How can the captured photos and videos be exported? 1. 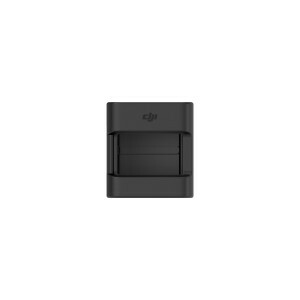 Power off the Osmo Pocket, remove the SD card, insert it into a card reader, connect the card reader with a PC then export the files. 2. When the Osmo Pocket is powered on, connect it to the PC with the Type-C USB cable. Then the photos and videos can be checked. 3. 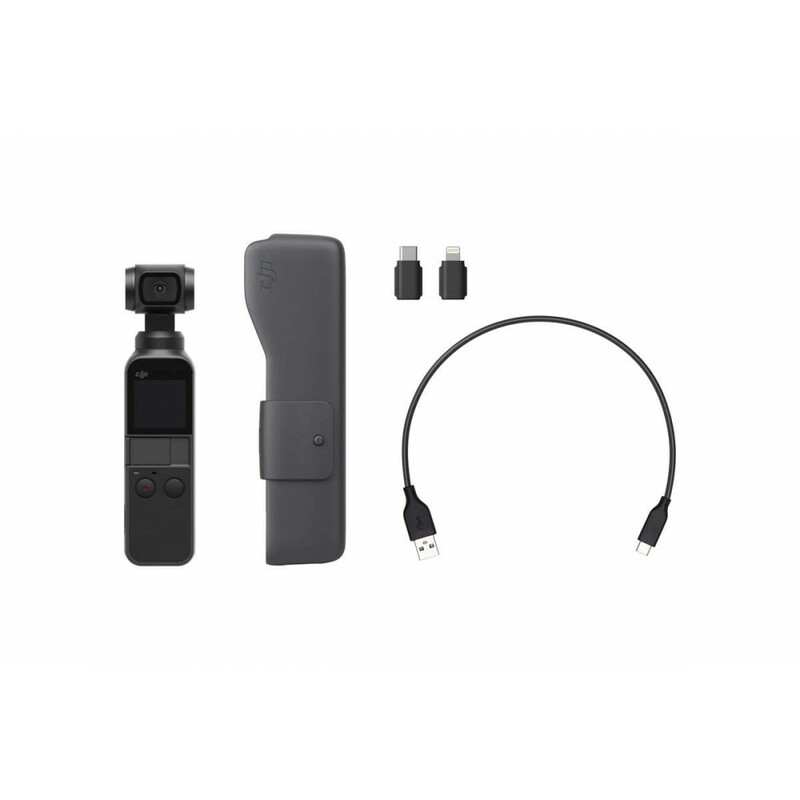 Power on the Osmo Pocket, then connect the Osmo Pocket to a mobile device with the smartphone adapter and download the original media. How can the Osmo Pocket be connected? Bluetooth (Wireless Module is needed), Wi-Fi (Wireless Module is needed), or connected to a mobile device with the smartphone adaptor. How do I set up the Osmo Pocket's wireless connection? Does the Osmo Pocket have better audio quality than the Osmo? 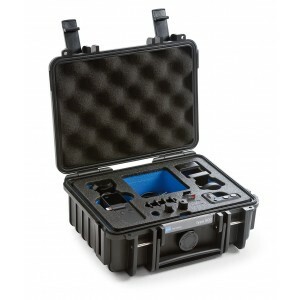 Yes, the audio quality has been greatly improved as there are two microphones in the handle: the main microphone is beside the Status LED, and the noise reduction microphone is on the bottom. Can I turn off the built-in microphone and then enable the mobile phone's microphone for sound recording? No. 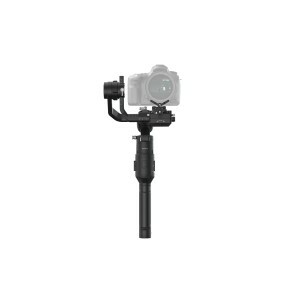 Only the built-in microphone can be used for sound recording. What is the dimensions of the Osmo Pocket's touch screen? 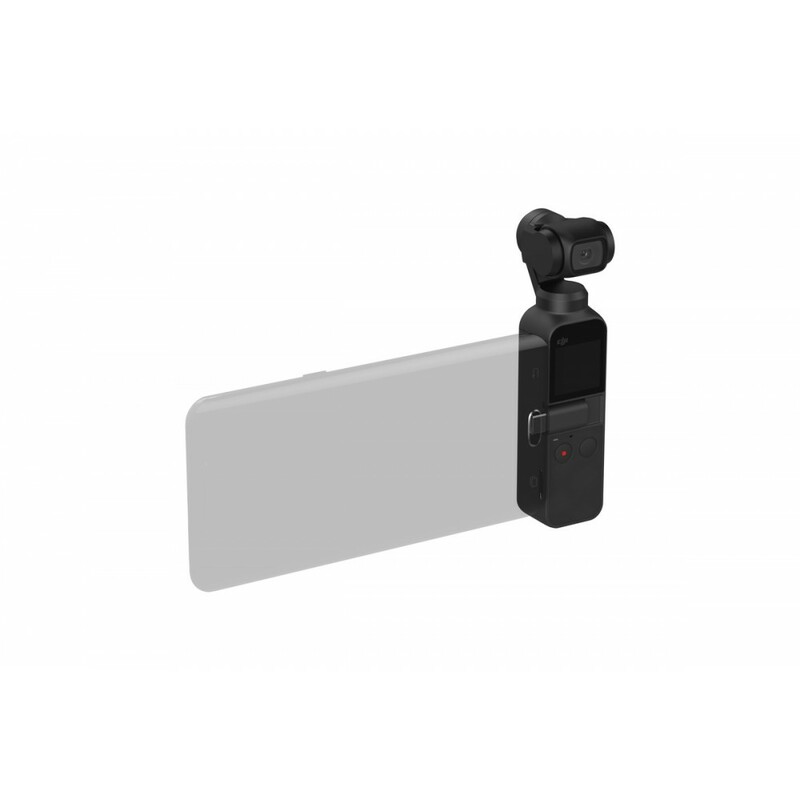 What is the resolution of the Osmo Pocket's touch screen? Can I look at the pano preview on the Osmo Pocket's screen? 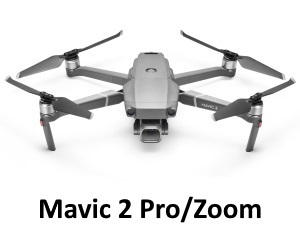 No, panoramic photos are only viewable on the DJI Mimo App after they have been stitched together. Can other USB cables work with the Osmo Pocket? No, please always use the dedicated USB cable for the Osmo Pocket when charging. Can I use the Osmo Pocket's charging cable for other devices? No, the USB charging cable can only be used for the Osmo Pocket. 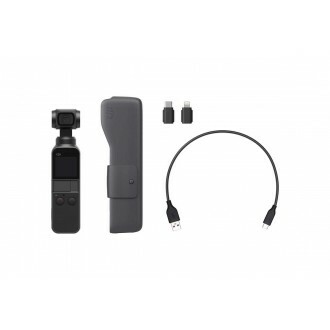 What charger is recommended for the Osmo Pocket? A charger with 5V/2A output. What is the optimal charging temperature for the Osmo Pocket battery? Can the Osmo Pocket be used to charge a mobile phone? Can the Osmo Pocket be charged when it is powered on? DJI Osmo Pocket Wireless ..